For those of you wanting to get in for a cleaning and check up we are booked out about 3 months at this time, but please call as soon as possible to be put on our waiting list. We appreciate your patience!!! If you did not already know we are now doing crowns in one visit with our new Cerec Technology. All of our patients that have been in over the last year for crowns have expressed how amazing the new technology is and how much they appreciate not having to return to cement their crowns. We are so excited to offer this technology to our patients, and if you need a crown that you have been putting off due to the problematic temporary and goopy Impressions, now is the time to do it!!! 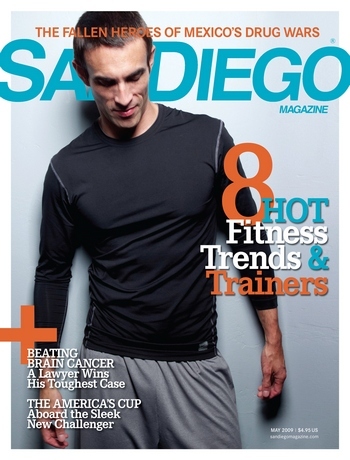 Dr. Keith Henderson was named one of San Diego’s Top Dentists, in the May 2009 and May 2010 edition of San Diego Magazine! 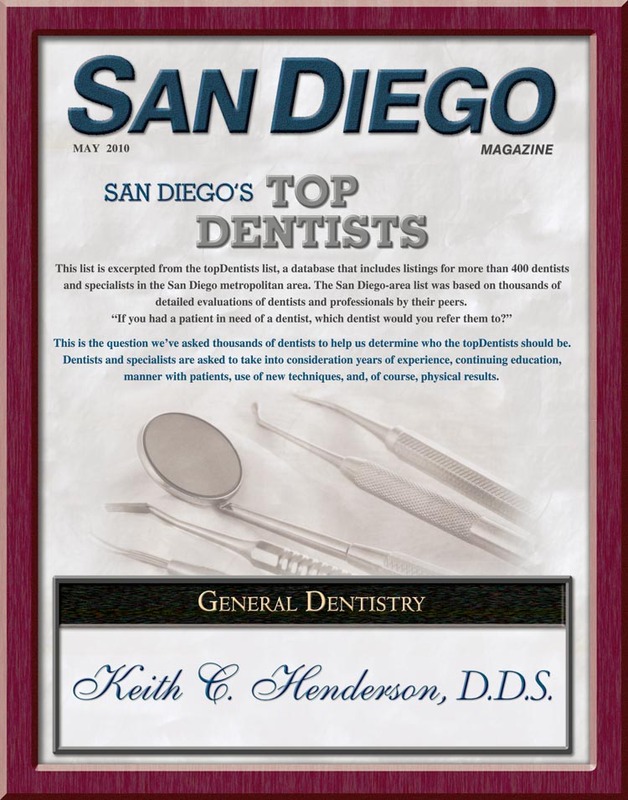 San Diego Dentist, Dr. Keith C. Henderson is a dental professional dedicated to General, Family & Cosmetic Dentistry such as Dental Exams, Cleanings, X-rays, Fluoride, Dental Makeovers, Teeth Whitening, Veneers, Crowns, & more. 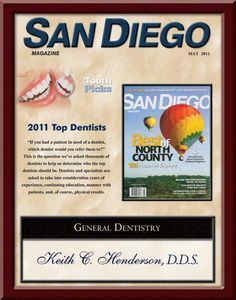 Please come and visit San Diego, CA dentist Keith C. Henderson, DDS.